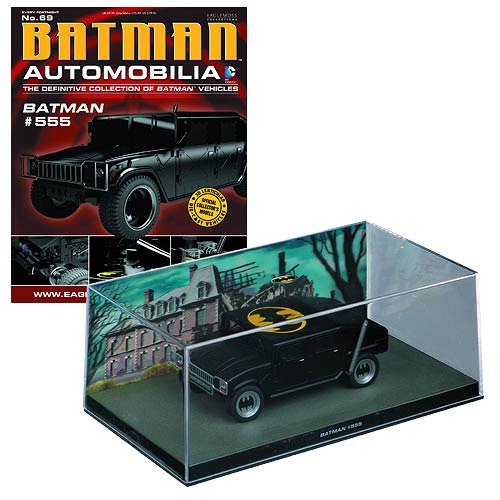 The Batman Automobilia Collection is a bi-weekly series offering Batman fans and model-car enthusiasts alike the chance to collect the most iconic vehicles to have ever been driven by Batman! The Batman #555 Die-Cast Metal Vehicle is accompanied by an exclusive collector's magazine with images and facts of the vehicle. This vehicle is #69 in the series. Ages 14 and up.